Don't mind me as I pack my bags and get ready to sail the seven seas. Oh the luxurious feeling of taking a week long cruise is so very exciting. As you lay out your clothes in preparation for all of the fun and site seeing, you will not forget to take this treasure created especially for you by the expert jewelers at Apples of Gold. 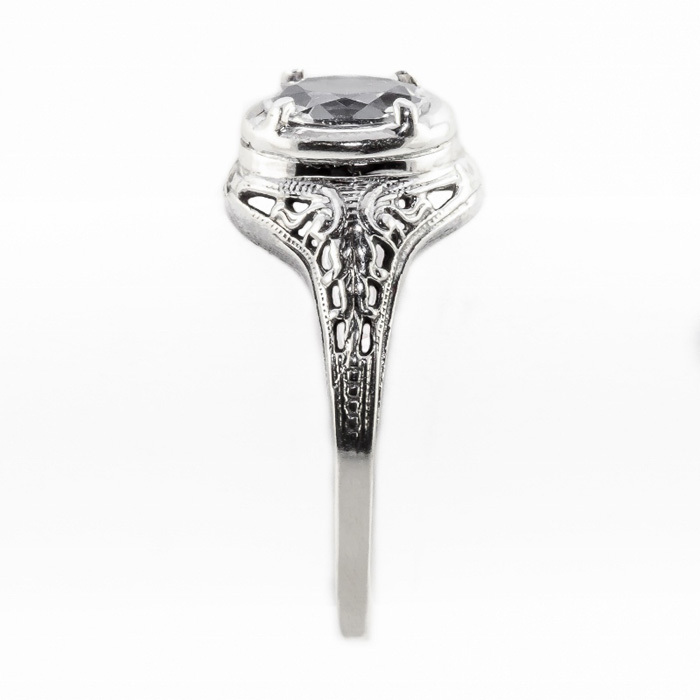 This art nouveau style ring has been designed to wear every day. 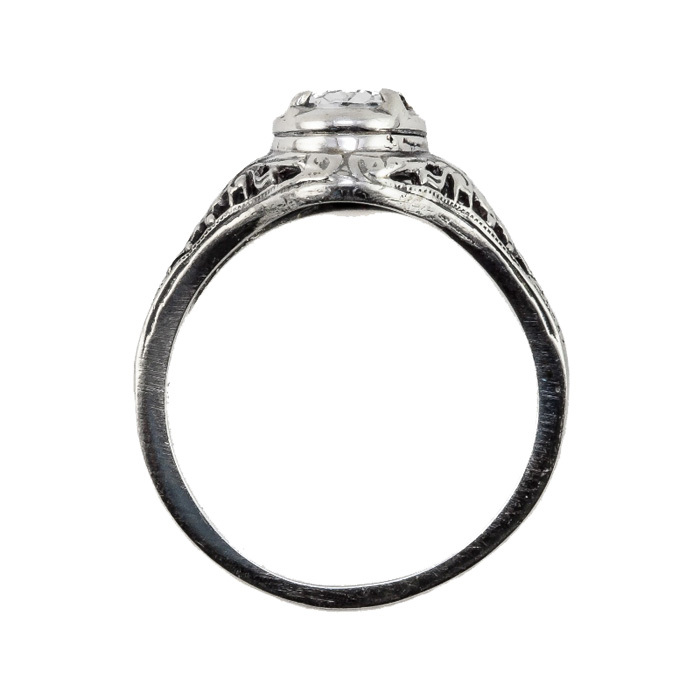 The oval shaped white topaz gemstone is breathtaking. Securely set in polished sterling silver, the combination is one of a kind. Who wouldn't want to be seen wearing this sterling silver ring measuring 7mm x 5mm. 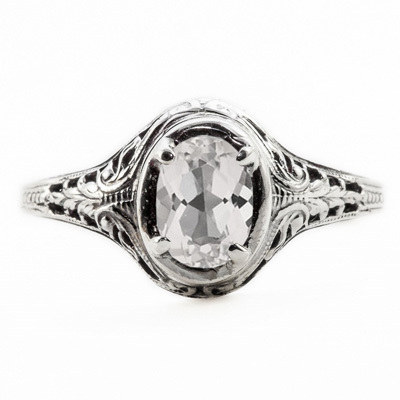 We guarantee our Oval Cut White Topaz Art Nouveau Style Sterling Silver Ring to be high quality, authentic jewelry, as described above.